Since 1995, J.T. 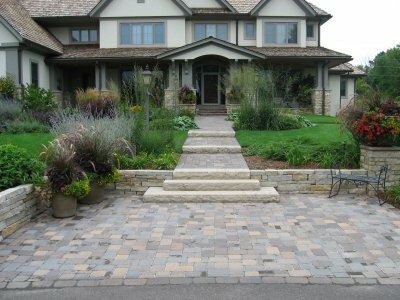 Construction has been creating beautiful landscape solutions. Although we concentrate on hardscapes – the construction part of landscaping - we have over 25 years experience with all aspects of landscaping and construction. This extensive knowledge gives us the ability to see how an entire project will come together during the installation phase and continue performing long after completion. We are a licensed residential building contractor and are considered experts in our field. On numerous occasions, we have acted as consultants in legal issues concerning hardscape construction. Even though the end result is a stunning focal point of your yard, our hand laid brick creations, water features and retaining walls may actually start out as an answer to a problem. We have solved erosion and water flow issues, created useable yard and entertaining spaces and upgraded curb appeal. Many clients have commented on how we have exceeded their expectations. Because we have extensive experience in both commercial and residential contracting, we respect the fact that your property isn’t just a 'job site', but someone’s home. We treat each project like our own and clients how we would want to be treated ourselves. We also know how to work on busy sites with multiple contractors and high traffic patterns. You will find we have a personal but professional approach. Our prices are competitive and our work is exceptional. We have built our business on referrals from past customers. It’s the simple things that really set us apart from the competition. 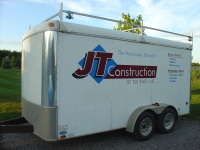 We are there when scheduled, complete the job on time and we leave a clean job site when finished. You will be happy to have J.T. Construction working at your home and impressed with the finished product.